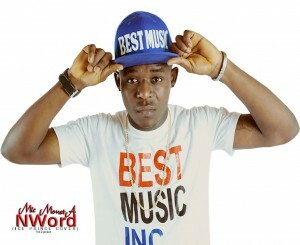 Best Music Inc’s Mic monsta is apparently the most fast rising lyricist in the urban music industry in Cameroon. He jumped on Jovi ‘s “Bwam” off the kankwe mix tape and the outcome was mouthwatering igniting polemic on social media on who was better on the tune. Jovi on his part slammed criticism on the young talented dude calling him an “industry cockroach” for illegally releasing the remix of his song “bwam“. As the uncontrollable twittering faded, the Kumba-raised prodigy has decided to make another impact with his brand new release “N Word”. And guess what. Jovi publicly endorsed Mic Monsta on “Urbaniz” on equinox TV as one of the most talented upcoming rappers he knows. Amazing! . “Nword” is sandwiched with deep bars and lyrically dexterous rhymes carrying a taste of originality. The song was produced by Slimbeatz of Best Music, the song is a remake from Ice Prince’s “Word” and directed by Dr. Nkeng Stephens. Am I suppose to say its the other Copy of N Word or Does Ice Prince knw about this?, what if it goes viral… What will Zamani say? i think they all are so talented n i don’t know why there is not a mecene to support them.